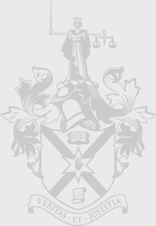 The solicitor’s branch of the legal profession, which operates as the interface between the justice system and the general public, is uniquely placed to comment on the particular circumstances of the Northern Irish justice system and to assess the practical out workings of policy proposals. The Society’s approach is both proactive and reactive, with a key element responding to consultations emanating from various Government Departments and public bodies. The Society makes the case for a well-resourced, effective and efficient justice system and has been to the fore in arguing for access to justice as a cornerstone of a civilised society. Since its establishment, the Society has played a positive and active role in helping to shape the legal system in Northern Ireland. In a devolved context, in which local politicians have responsibility for the development of justice policy and law reform, this role is as important as ever. Please click below to access the Society's consultation responses.